Today we are focusing on something we rarely do for ourselves. Self Care! How about Darlings? I know that is the last thing on my list most days. Truth be told when raising babies many of us were lucky to get a shower in by days end. Gross! It is real life. A group of bloggers are giving you Awesome ideas how to create Self Care made with Cricut projects. Jessica of the DIBY Club has gathered together a group of wildly creative souls. She is contributing the first link below this post with a pattern for pajama suit The Gabriella. I for one Love a lounging PJ Day, These projects would be great gifts or given to yourself too. I suggest two for me one for you idea. 💖After all we are promoting Self Care!! Well gone are the days of babies crying at our house. Wedding number 2 Here We Come. We have two sons, but I never thought our family would be planning a second wedding in a year. N & J wedding this Summer I thought a gift for her mother would be nice. Keeping your things organized along with the many parts of the moving puzzle of a wedding while looking graceful, calm and put together is no small feat. 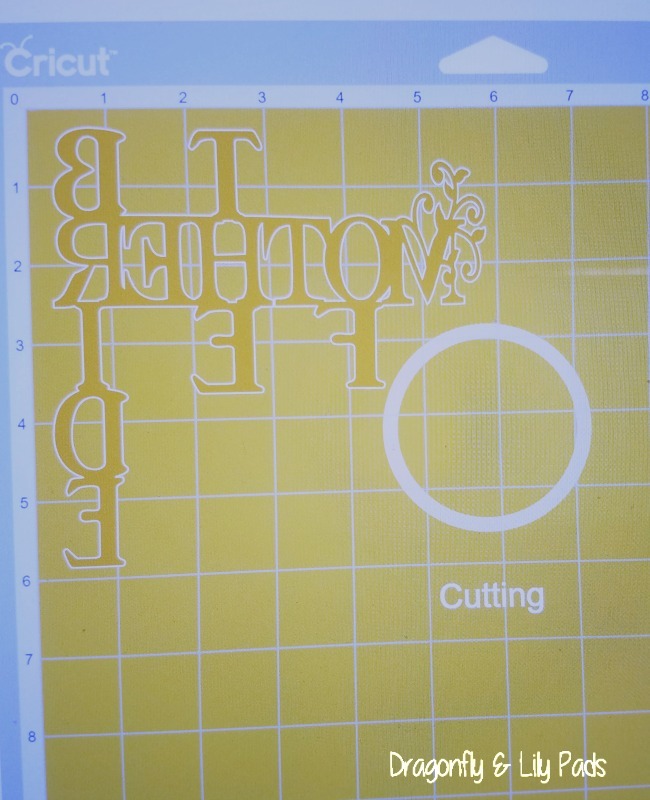 When creating your a Heat Transfer Vinyl project one of the most important steps is reverse or mirror the image. 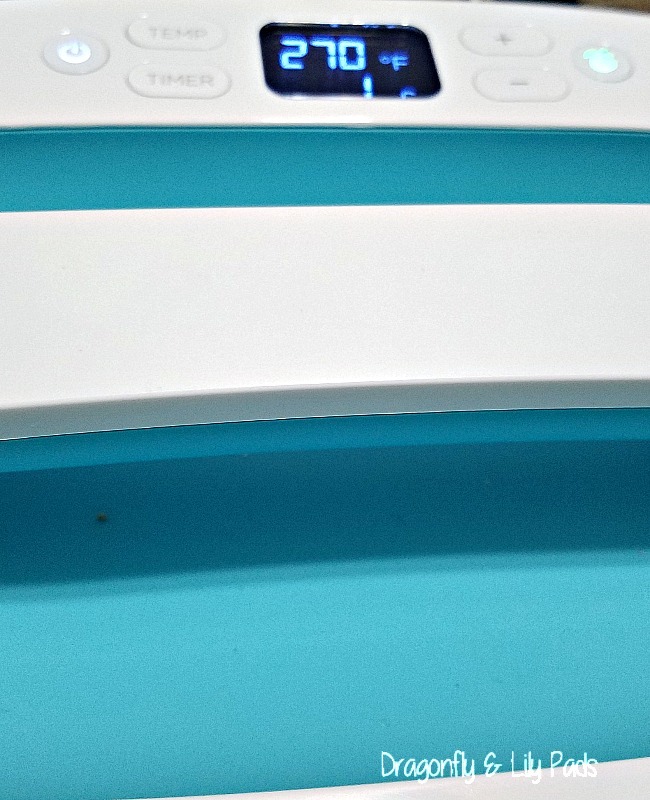 You will see a button to slide under your mat as seen above and below. 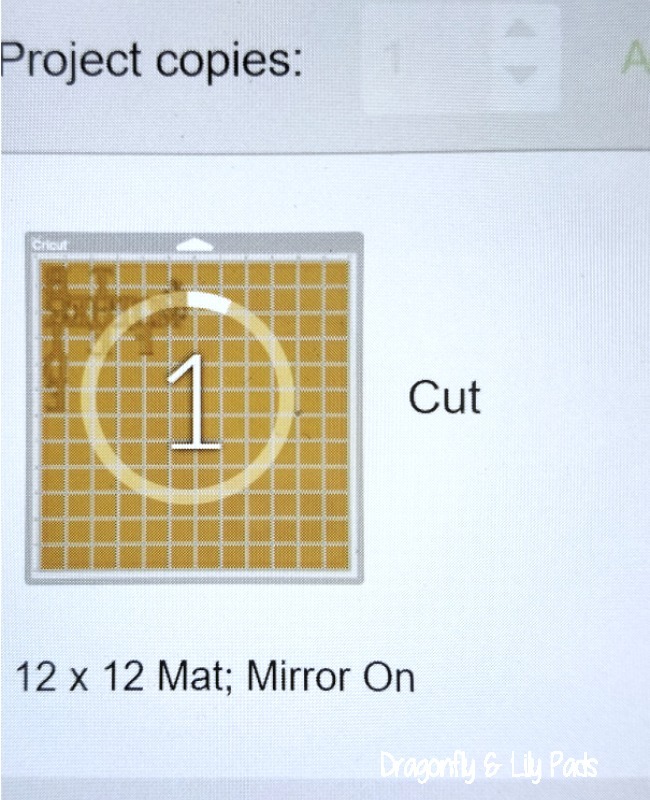 Notice when it is on the words Mirror ON are next to the mat size you are using. While the Cricut Maker is humming along cutting my HTV I read the settings chart is the Heat Press Guide and set to selected material. Then set the timer for the guide as well. Weed your cut Mother of the Bride design with a pick. 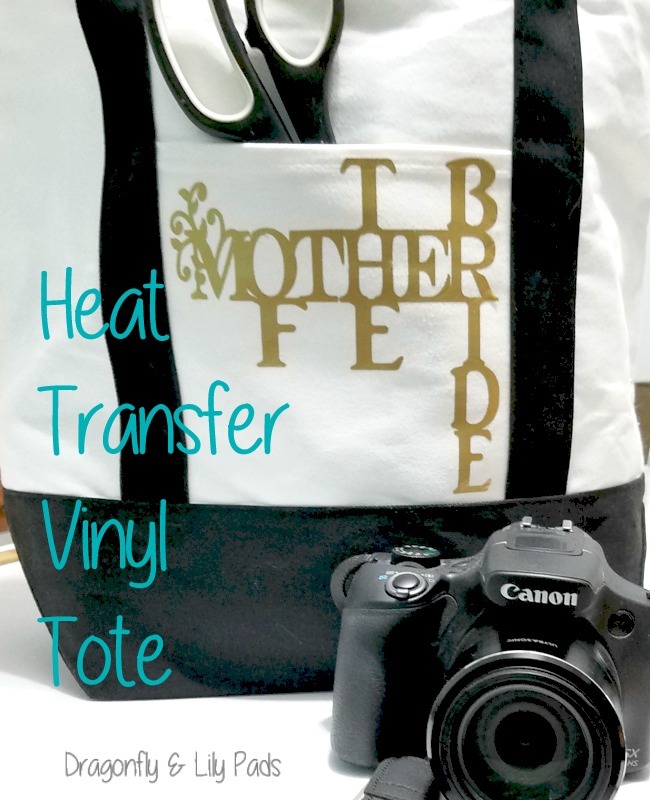 The setting for Canvas Tote is 270 F when the Heat Press is ready preheat the tote on front and back to receive the best adhesion of the HTV to the Tote. Now Js mom is ready to be a supporting role in her daughter's wedding day. 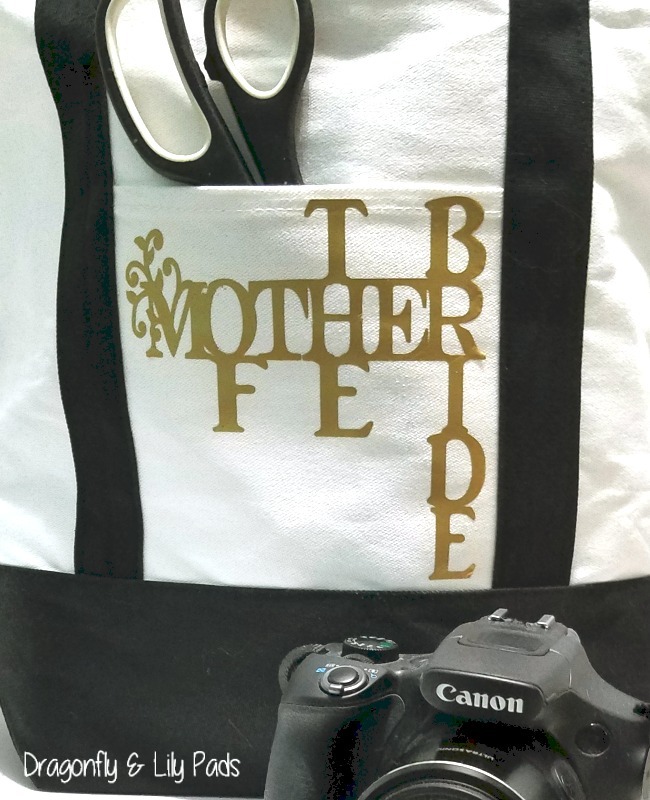 This HTV Mother Of The Bride Tote can be tucked under her chair keeping everything within reach. Keeping the day under control while she enjoys celebrating with family, friends and the Happy Couple. Are you ready for even more good news today? Our extremely talented hostess has created a Mini Magazine with all the goodies you will experience this week along with exciting news. Curious? Enjoy the Mini Magazine Self Care with Cricut just for you by clicking the link included here. I hope you enjoyed Self Care Day made with Cricut. Please Come back each day this week to grab even more ideas from my extremely talented blogger friends with the links included below.